Tim Henry grew up in American Canyon, and attended local schools. Tim began learning his roofing trade at an early age and has developed a deep knowledge and understanding of the roofing industry. 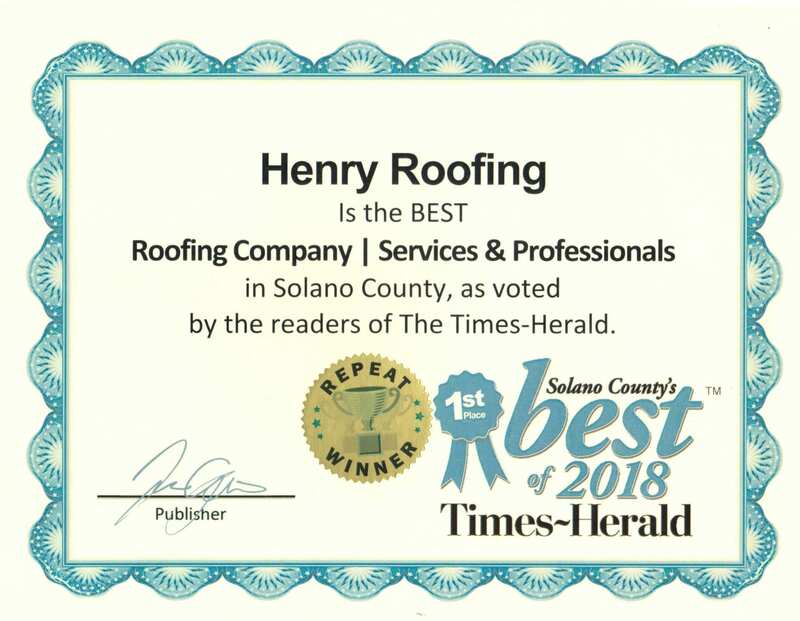 For over forty years, Owner Tim Henry has built a solid reputation as a trusted roofing contractor. Tim Henry is committed to providing quality service to the community. He believes that a reputation as an honest and reliable business is the recipe for success. While others seek to profit by cutting corners, or recommending unnecessary services to customers, Tim Henry believes that a good reputation and consistent service will reap bigger profits in the long run. By being trustworthy, Tim Henry believes that he will enjoy a long term profitable business that serves the community. Click to verify BBB accreditation and to see a BBB report for Henry Roofing, Inc.